There is a popular adage which goes like this “The empty barrel makes the most noise” and that is very true. This wise saying can be applied in many aspects of life, aside from its literal meaning. For example, people boast about things that they do not really have. And others also happen to have whatever they boast of because such people can never keep quiet and want the world to know everything they have our own. Nevertheless, there are still a few people who would rather go quiet on their many valuable possessions and enormous wealth and Ghana is blessed to have some of these people. High profile dignitaries including Osei Kwame Despite, Dr Papa Kwasi Ndoum, Dr Kwabena Dufuor, Archbishop Nicholas Duncan Williams, Asamoah Gyan, Hackman Owusu Agyeman, Dr. Addo Kufuor and Sam Jonah, just to mention a few, are noted as ‘quiet’ rich men of Ghana. However, in no particular order, this article will focus on five of these personalities who are super rich, and yet they do not make ‘noise’ about their riches. 1. Dr. Papa Kwesi Nduom : Aside being an active political figure, Dr. Papa Kwesi Ndoum is also a business mogul. 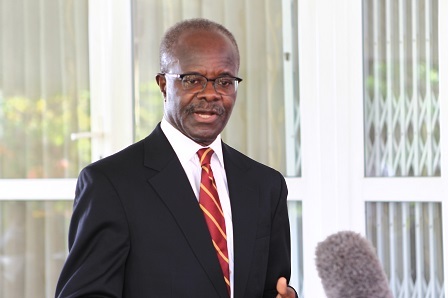 He is the President of the Groupe Nduom which houses a whole lot of companies. As at 2016, he was reported to own a number of sixty-four (64) businesses and counting. He is the owner of the Regency Hotel in Accra, Miners’ Lodge at Obuasi, a Beach Resort in Elmina, and many other subsidiaries all under the umbrella name Coconut Groove Hotels. Dr. Papa Kwesi Ndoum also owns Gold Coast Securities Company, a brokerage firm which offers services in investment, advisory and treasury management. He also owns the GN Bank which has branches nationwide. Papa Kwesi Ndoum is also the owner of Ghana Media Group (GMG) made up of Today Newspaper, Ahomka FM in Cape Coast and the Ghanaian Journal, an online news site. In February 2012, Dr. Papa Kwesi formed the Progressive People’s Party (PPP), after contesting as President on the ticket of the Convention People’s Party (CPP) for many years. His party, PPP, is currently the third largest party in Ghana after the NDC and NPP. With all these businesses and more, it is obvious that the number of Ghanaians employed by Dr. Papa Kwesi Nduom is, thereby helping to boost employment rate in Ghana. As for his houses and fleet of cars, they are simply uncountable. Despite all these riches, Dr. Papa Kwesi Nduom is highly esteemed by the masses as a respectful, humble and dignified citizen of Ghana. His hard work and dedication to improving employment in Ghana has been acknowledged both locally and internationally and he has received many awards and honorary to this effect. 2. Dr. Kwabena Duffuor : Dr. Kwabena Duffuor is the former Minister of Finance and Economic Planning under the late President Professor John Evans Atta Mills’ government. He also served in various capacities as Director or Chairman in eminent institutions such as State Gold Mining Corporation, UniBank Ghana Limited, Shell Ghana limited, Accra Brewery Limited and a lot more. He is currently rated among the top 10 richest men in Ghana. Dr. Kwabena Duffour owns an uncountable number of businesses comprising financial institutions, a media network, and others. 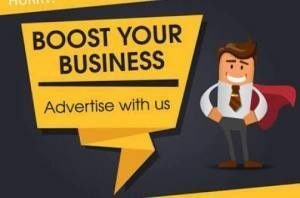 These include Star Assurance Company Limited, UniBank Ghana Limited, Excellence in Broadcasting (EIB) Network, Daily Heritage Newspaper; just to mention a few. There is one thing about Dr. Kwabena Duffour that most people do not know and this is worth noting. During his four-year (2009-2012) service to the nation as Minister for Finance and Economic Planning, Dr. Kwabena Duffour never took home any salary! He virtually did this job for free and according to an interview he granted after his tenure, he already had much in his coffers and was willing to allow the government use his salary for developmental projects for the country. This earned him so much respect as a true statesman, and a man of few words. Dr. Kwabena Duffuor has currently handed over the directorship and management of his businesses to his son, also called Dr. Kwabena Duffuor Jnr. 3. Dr. Osei Kwame Despite : Dr. Osei Kwame Despite is the chief executive officer (CEO) of the Despite Group of Companies. He is one of Ghana’s most respected businessman. He rose to fame following his dominance in the media as a man with limited education himself. In the early years of his rise, Dr. Osei Kwame Despite often told the story of how he started work as a shoemaker, then later to music productions, which led to the opening of Despite Music Production/Shop which is still vibrant and popular in Accra Central. In 1999, Dr. Osei Kwame Despite established Peace FM, becoming the pace-setter in the radio industry which then had only a few Frequency Modulation (FM) stations operating in Ghana. He currently has other radio stations spread all over the country. One of the most popular television stations in Ghana, United Television, commonly known as UTV is also a part of his media businesses. Dr. Osei Kwame Despite defied all odds to become one of Ghana’s most popular, respected and rich businessman in that such statutes is usually attained by people with the higher educational background unlike his. 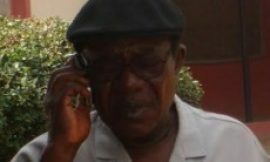 He is also the owner of Neat Food Company Limited, producers of the Neat brand of products including Neat Fufu, Neat Palmnut and others. Atona Food also belongs to him, this division of his companies produces the ‘This way chocolate drink’, ‘Non-Diary milk powder’ and many other brands. Dr. Osei Kwame Despite also owns Best Point Savings and Loans, Best Point Insurance, Best Point Pension Trust and other financial companies. His businesses have received several awards just as himself. Moreover, his many enviable properties located especially in Accra and Kumasi are just too many to be counted. Early this year, he unveiled his new official car, a brand new Mercedes Maybach S650 worth a whopping $323,000. Despite Dr. Osei Kwame Despite’s enormous wealth, he has remained humble and quiet as his voice is hardly heard even though he owns major news outlet. It is worthy to imitate the fine and exemplary life led by people like him. 4. Asamoah Gyan : Asamoah Gyan is the captain of the senior national team, Black Stars. Asamoah Gyan has carved a niche for himself in the football world and so he is known and highly revered internationally. He currently plays for Kayserispor, a popular Turkish team, aside from the Black Stars team. Asamoah Gyan is one of Ghana’s richest men. In 2016, he was rated among the top 10 highest/ best-paid footballers in the world; and the highest paid footballer in Africa. Last year, his annual salary stood at €550,000. 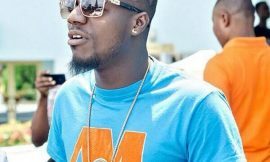 Apart from being an active and successful footballer, Asamoah Gyan is also a talented musician. He owns the Baby Jet Promotions, which seeks to promote all kinds of sports in Ghana. Last year, Asamoah Gyan, also known as Baby Jet, acquired an airline, Baby Jet Airline which is expected to start operating by the end of 2018 or early 2019. 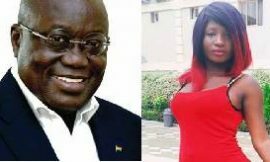 His houses and other properties located in some parts of Accra and his hometown in the Brong Ahafo Region show the kind of rich man he is. Despite being a fun-loving, jovial and down to earth person, Asamoah Gyan is also noted for his humility and he makes no noise at all on his enormous wealth. He is worthy of emulation. 5. Archbishop Nicholas Duncan-Williams : He is one of the powerful religious figures in Ghana and the world. Duncan-Williams is the Founder and Presiding Bishop of Action Chapel International. He was part of the clergy that officiated the inauguration of President Donald Trump’s Presidency. Apart from being a key and influential political figure, Archbishop Duncan-Williams is also a businessman. He owns the Dominion University College located on the Spintex Road in Ghana. He is also touted as the richest ‘religious’ man who makes ‘no noise’ about his riches.